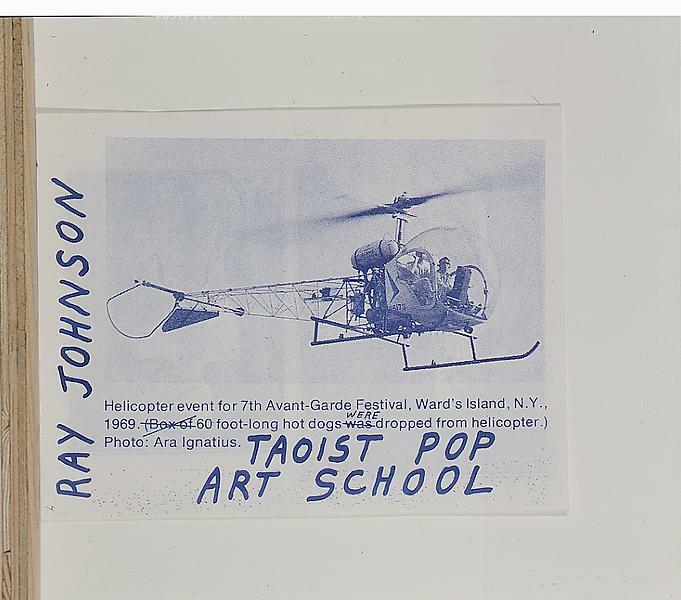 Photo of Ray Johnson performance at the 7th Avant-Garde Festival, New York 1969. Photograph by Ara Ignatius. Image reproduced by Ray Johnson as a mailer, mid 1980s.